It is fun to go to nearby state parks, the local arboretum, or even national wildlife refuges to learn and study and photograph nature. But, I also have a closer resource on hand – literally right in my back yard. It may not be the woods, but it’s enough to learn to start observing the world outside of myself by observing nature. 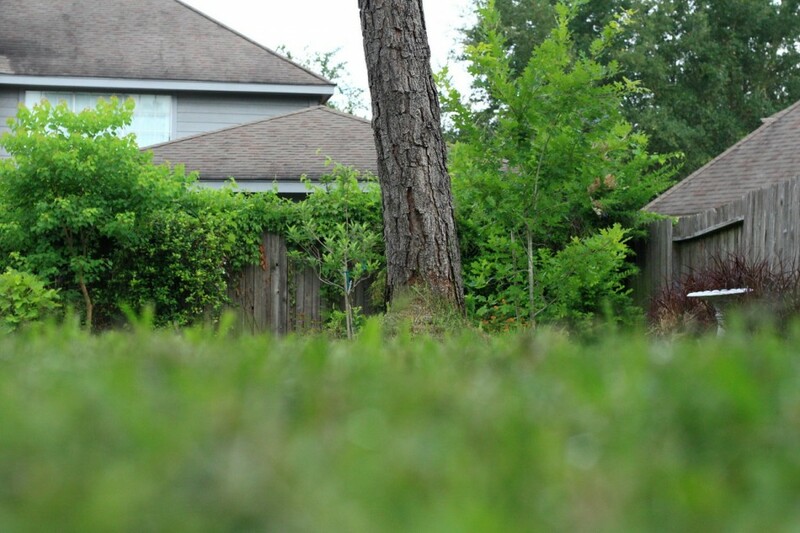 Do you know what trees are in your back yard? Why Learn to Identify Trees? People learn to identify trees for different reasons. For some of us, it is recreational. For others, its about learning to landscape or manage their property better. Rich Mullins, one of my favorite poets and songwriters, used to suggest to people speaking of depression or anxiety that they learn the names of all the trees between their home and their work. For myself, it is about learning to look outside of myself, and my world of screens and routine. I have to look – really look – at nature to learn from it, and this simple act of looking outside myself does wonders for my spirit. I love the idea of enjoying nature in my own backyard. I’ve even started photographing various trees and flowers there. I become frustrated however when I realize that I have no idea what any of the trees and/or flowering shrubs are. Do you have any ideas for this “beginner” nature lover regarding identification? In my case, I learned to identify many of the native trees by attending a class at the Houston Arboretum as a part of their Nature 101 classes. While there, I learned how to use a tool called a Dichotomous key, which is just a list of questions with two possible answers – and each answer showed me where in the key to look next for either the next question or for the final answer. But from the first question I was looking at the tree and trying to get answers. Does the tree have leaves that are needles or scales (evergreen) or does it have flat leaves (broadleaf)? The questions start there and so I have to look at the leaves and start understanding how the leaves work. I learned that there is a language for describing the parts of a leaf, and by learning how to describe the leaf, I could answer the questions and possibly know what sort of tree I am looking at. The process is not always fool-proof. Sometimes, I am left needing an option “C” in the questions, and this could be because I am looking at a tree not in my guide or because I made a mistake describing the tree. This is an exercise best spent by the tree and in the field. Commercial lists, or field guides, are available by the Audubon Society (which is great and has many photos), although I carry a Peterson’s Field Guide in my pack which has fewer images, but is smaller and lighter. In this case, the “field” is just in back of the house, I can also use modern technology to help me identify the trees. I have on my phone a link to the mobile What Tree Is That? tool from the National Arbor Day Foundation. It works in the same way to identify a tree, and includes images of the leaves to verify I have the correctly identified the tree. They also have a tutorial for working through the process of identifying a tree from your home browser, and a larger and graphics-rich tool for the people who can walk out back with their laptop. I did have one tree in my yard that could not be identified through these methods. It was growing very rapidly, and didn’t show up in any of the field guides or lists. I finally found it by checking a warning list of invasive species for my area. It turns out that this tree is from China and does so much damage to the environment that it is prohibited and owning one without a permit is a class “C” misdemeanor in Texas. Getting rid of it is a boon to my area and could only have happened from the desire to identify the tree. But for me, more than the advantage to the environment, I find that just going outside and looking at the trees – and I mean really looking at them to see where the leaf nodes are so I know if I am looking at a leaf or a leaflet on a complex leaf system – means that I am once again outside of myself and connecting to the larger world outside of me. Maybe this is a natural thing for some people, but for me, learning how to observe the world around me in nature is something I have to keep learning – and every time I do, I keep growing. This entry was posted on Monday, April 27th, 2009 at 5:41 am. It is filed under Nature and tagged with Arboretum, Backyard, China, Field, field guide, Getting Started, home, Houston, leaf, leaves, Nature, resource, Rich Mullins, Texas, tree, trees, world, yard. You can follow any responses to this entry through the RSS 2.0 feed. What is the name of the tree that has a round, prickly, brown seed/fruit?